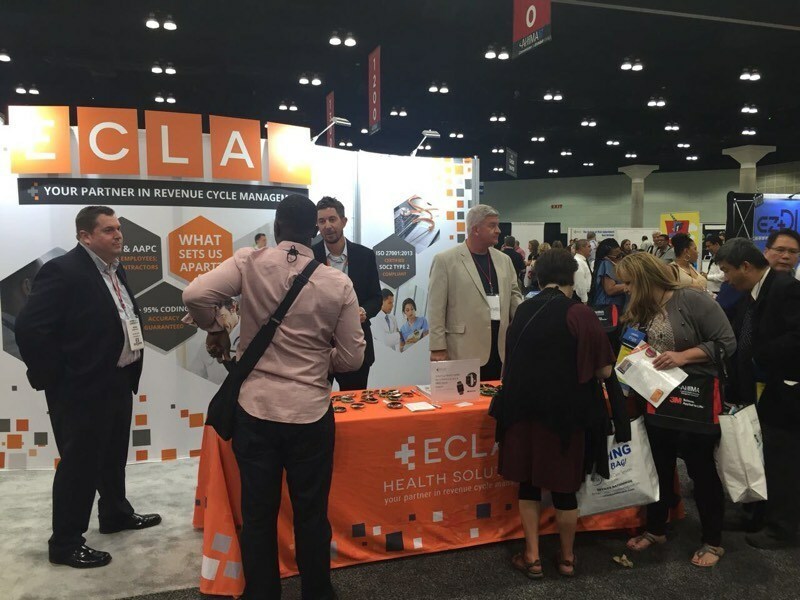 The feeling of absolute exhilaration was in the air lining up to receive pre-registration packets at the AHIMA 2017 Convention and Exhibit in “the city of angels”, Los Angeles. For many of us, it had been a year since we had seen colleagues, reconnected with prior co-workers and reunited with friends in the health information profession. Flipping through the agenda, the hard work of all the sponsors and contributors was evident; this would be a convention to remember! Pre-conference meetings and events as well as post-conference meetings and events were available. Saturday and Sunday were packed with the Clinical Coding Meetings. Truly there was something of interest for everyone. AHIMA celebrated another year of “go green” with limited printings, replaced with easy to follow download links to access all the conference handouts. Highlights of the Clinical Coding Meetings include FY 2018 ICD-10 CM and ICD-10 PCS code and guideline modifications as well as inpatient prospective payment system (IPPS) changes that impact coding and documentation were presented by Sue Bowman, MA, RHIA, CCS, FAHIMA and Anita Rapier, RHIT, CCS. New codes were discussed including the types of acute myocardial infarction and pulmonary hypertension. Garry L. Huff, MD, CCS, CCDS held a separate session that further defined acute myocardial infarction and the types of myocardial infarctions, acute coronary ischemia and demand ischemia. Bowman and Rapier continued with clarification regarding the word “with” or “in” to be interpreted to mean, “associated with” or “due to” when it appears in a code title, the Alphabetic Index, or an instructional note in the Tabular List was discussed. The exception was further clarified to be “unless the documentation clearly states the conditions are unrelated or when another guideline exists that specifically requires a documented linkage between two conditions (e.g., sepsis guideline for “acute organ dysfunction that is not clearly associated with the sepsis”). Procedure Coding System (PCS) codes were revised and deleted to mostly simplify certain body part values or to correct clinical discrepancies and add new devices. There were a few DRG shifts that coders need to be familiar with when grouping discharges from October 1, 2017 forward. Audit was a hot topic during the sessions, highlighting the need for auditing, what and why to audit and what to do with the data being analyzed as a result of an audit. Frequency and volume of auditing was also discussed. Data analytics, revenue integrity adventures, coaching the team, goal setting and risks were all included in sessions. There were physician tracks, HIT, coding and CDI tracks as well as international sessions, population health, workforce development, payment reform and information governance. General Session was certainly a highlight with Dr. Don Rucker, National Coordinator for Health Information Technology, Barbara Boxer, former U. S. Senator, and Newt Gingrich, Former Speaker of the U. S. House of Representatives. AHIMA Triumph Awards, AHIMA Grace Award and the Presidential address set the tone for the 2017 Convention themed, Inspire, Innovate, Lead. Exhibitors were armed with the latest in technology, practice and support. This was one of the most enjoyable events with demonstrations, prizes and entertainment, not to mention all the wonderful giveaways to assist in recalling the name and number of the vendor when the need arises. The AHIMA Foundation Silent Auction is always a fun event and this year was no exception. The paper auction was replaced with an APP that provided on-the-spot notification when your bid was overtaken, allowing an up-bid to take place with the touch of a button. Time to dress for the red carpet came on Tuesday evening at the AHIMA Appreciation Celebration: Lights! Camera! ACTION! Gala. This was the event of all events as guests were met with a real-life feel of celebrity, cameras flashing upon entering. Delicious food, drinks, entertainment, picture-taking with Pirates of the Caribbean, Alice-in-Wonderland, Dinosaurs, a candy bar, dancing to a live band and entertainment by the Star Wars Storm Troopers. A great time was had by all! Wrapping up the 2017 AHIMA Convention was the inspiring Viola Davis, followed by sessions for Coding, Consumer Engagement, HIM Practice Standards, Hot Topics, Information Governance, Innovation, Privacy and Security, Quality Measures and Leadership. On my way back home, I was filled with new ideas and renewed spirit of success. I’m already planning my trip to Miami, Florida September 22 – 27, 2018 for the AHIMA 90th Convention & Exhibit, “Inspiring Leadership – Influencing Change”.